Hon. Richard Sothoron (Ret.) - Mediator & Arbitrator based in Upper Marlboro, Maryland. The Honorable Richard H. Sothoron, Jr. has been practicing law for over 43 years. Judge Sothoron is a graduate of the University of Baltimore School of Law where he earned his Juris Doctorate in 1969. He did his undergraduate work at the University of Maryland, College Park, graduating in 1966. Judge Sothoron began his legal career in 1971 as an Assistant State's Attorney for the Prince George’s County State's Attorney’s Office. He was an associate attorney at DePaul, Willoner, Kenkel and Associates until 1976 when he became a partner of the firm. In 1978 he became a partner at Shipley, Knight, Manzi and Zanecki and continued as a partner under its new organization and name of Knight, Manzi and Sothoron. 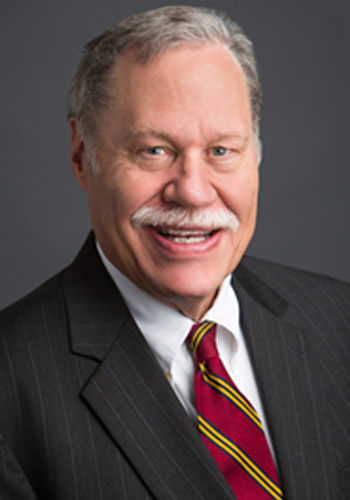 In 1982 he founded his own practice handling civil litigation, administrative litigation and criminal defense, defending those accused crimes in Prince George’s County, southern Maryland, and the District of Columbia, until he was appointed to the Bench in 1990. Judge Sothoron was appointed as an Associate Judge to the Circuit Court for Prince George's County, Maryland, in 1990, and was elected to the bench for a fifteen year term in 1992, where he served for sixteen years until his retirement from the bench in 2008. Since retirement Judge Sothoron has acted as a mediator and arbitrator for a wide variety of civil cases. He has successfully resolved hundreds of complex cases throughout Maryland and the Washington, D.C. area.